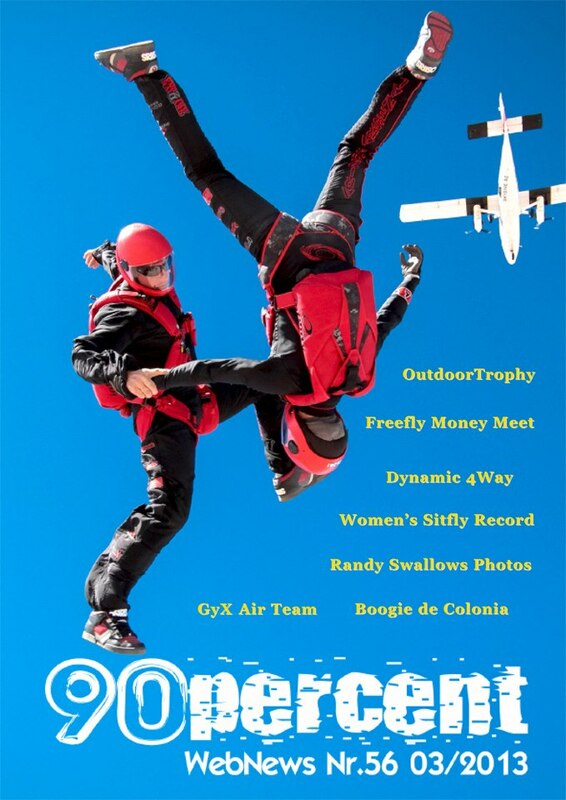 I would like to thank 90Percent (Italian Skydiving Magazine) for utilizing one of my Freefly photographs for the March 2013 cover spot. It depicts Steve and Sara Curtis of Arizona Arsenal doing a fun jump over Skydive Arizona. To check out the PDF version of the magazine, please click here. This entry was posted in 90Percent (Italy), Arizona Arsenal, Artistic, Cover / Featured Photo, Freefly, Photography, Publications, Skydive Arizona, Skydiving, Vertical Formation Skydiving (VFS) by niklasdaniel. Bookmark the permalink.